It’s somewhat controversial to have a ‘pop-up’ book without paper – paper engineering purists will say that it is pure nonsense. On the other hand, I suspect that iPad fans will love it. PopOut! 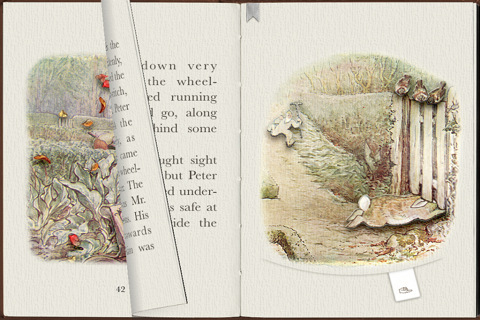 The Tale of Peter Rabbit is an e-book app created for the iPhone or iPad. 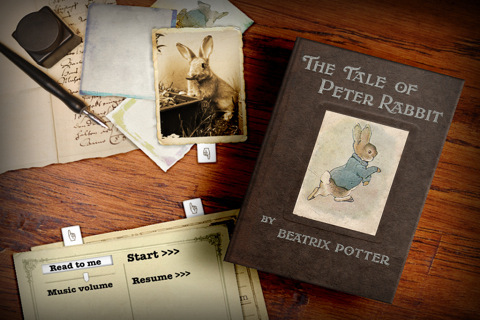 The app uses Beatrix Potter’s original story and illustrations, bringing them to life with gentle background music, a suitably British narrator and animated ‘pop-up’ features. Many of the pop-up features rely on traditional pop-up book tools – levers and wheels make Peter ‘hop’, slide under Mr McGregor’s gate, jump into the watering can and more. 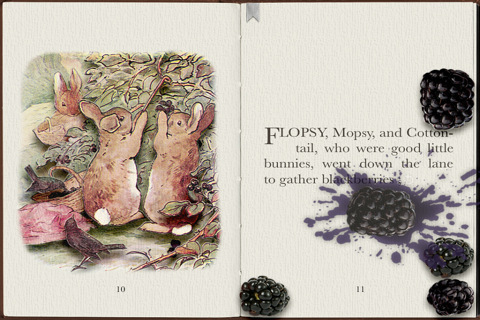 Other pages use animation and sound effects to enhance Potter’s illustrations – falling autumn leaves, bouncing bunnies and gathering blackberries – each page comes alive in some way. That said, I’m not sure that Ms Potter would approve of Peter Rabbit passing wind after overeating in Mr McGregor’s garden (although it certainly gets a laugh from children!). The app is available for both iPhones and iPads. My children have enjoyed it on the iPhone but unquestionably it would be better in the larger format of the iPad. PopOut! The Tale of Peter Rabbit is available through iTunes for $2.49. Check out other apps we have reviewed here.